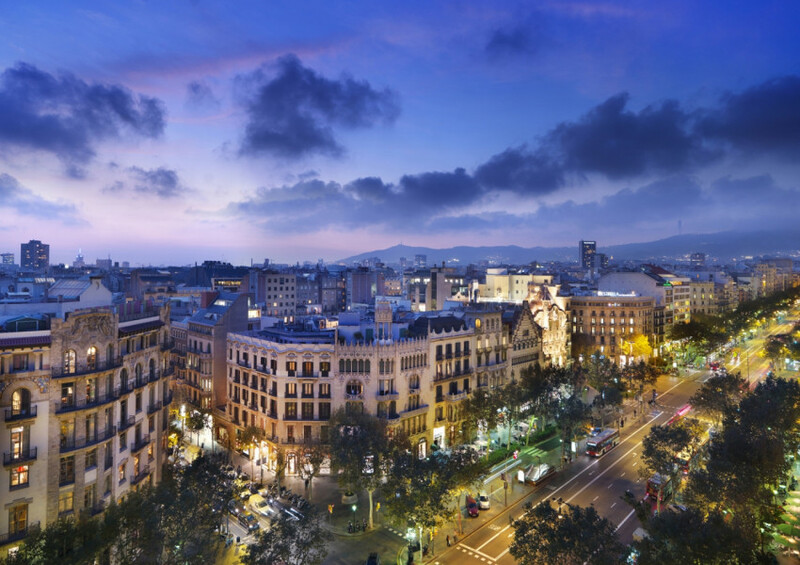 The first one that comes to mind when listening Paseo de Gracia is Modernism, luxury and pleasure. Its reputation has been built up over the years, its construction was preferred by aristocrats who wished to show their skills and elegance. In the beginning, the Paseo de Gracia was a rural road connecting the village of Gracia and the Barcelona center. Later the in 1823 the new Parkway opened. In 1853 was built an area of gardens, pubs, nightclubs, now here there are streets of Aragon and Mallorca Champs Elysees. From 1900 Paseo de Gracia was one of the windows of modernism. The Architects such as Antoni Gaudí, Lluís Domènech i Montaner, Josep Puig i Vilaseca i Casanovas left their print on the buildings – La Pedrera, Casa Fuster, Casa Batlló and Amatller. Today Paseo de Gracia is one of the main avenues of Barcelona and one of the most famous in Catalonia. Here you can find the biggest shopping center. Arts, culture, entertainment and business come together in the same street, any citizen or tourist can feel itself unique, exclusive and important. Famous brands, both national and international, there are along the Paseo de Gracia. Adolfo Dominguez, Guess, Chanel, Gucci, Loewe, Yves Saint Laurent and many other. There are the best bars and restaurants on the Paseo de Gracia. Living in a house that has HJAPÓN for sale in Paseo de Gracia is a luxury. HJAPÓN gives you the opportunity to enjoy one of the best European cities, Barcelona. Online magazine focused on culture, fashion, music, art, entertainment, beauty and restoration of the Paseo de Gracia. It informs you of all the activities that take place along the avenue. The Majestic Hotel & Spa Barcelona is the tradition of ninety years of hospitality excellence. The hotel also offers a spa to take care both outside and inside. L’Olive has been established as a classic among restaurants in Barcelona, offering a great opportunity to enjoy authentic traditional Catalan cuisine and Mediterranean cuisine, combining high quality products with exceptional service. Known for the freshness of its seafood and the high level of their winery. Your cocktail Boca Chica is one of the top ten in Spain. Its unique atmosphere and excellent service have made him a favorite of the ‘celebrities’. Mediterranean cuisine fused with Asian cuisine. His chef has worked with the best chefs of Spanish cuisine and some of the best Japanese restaurants. Fusion of pastry and catering to those you want to enjoy a quick lunch in the center of Barcelona. A good place to have a good wine with a delicious cover. Also if you like you can not miss her sweet chocolate coulant.